Native apps, Mobile apps, or just apps. We call them different things and we use them all the time. From a business perspective, apps complement mobile and desktop sites. They are natural extension of an online strategy. Because of this, it’s important to take the necessary steps to make sure the native apps, and their versions, are identifiable. This is critical both from an analytics perspective as well as from a devops or support perspective. Native apps have much in common with the web. Apps often use the same online resources as the web site like RESTful APIs, images or videos. 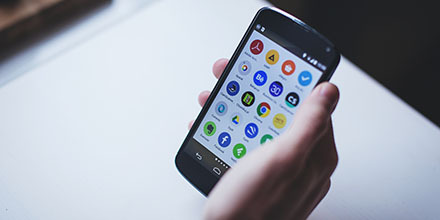 Because these resources are shared, it is very important to correctly form User-Agents for mobile apps to identify who is using the resources. Is the user on the Android app or iOS app? Which version of the app? Which OS version? And so on. There are two kinds of mobile apps: 1) fully native apps, and 2) webview-based hybrid apps. In this post, we will focus on fully native apps where HTTP requests are sent by the native code. If you are interested in webview-based hybrid apps where a browser window is wrapped in a native shell, then check out this other post on User-Agent strings for hybrid webview apps. There is already an industry standard for device identification that apps can also use. It’s the User-Agent string. The User-Agent string is a field in the HTTP header that can identify the app that is making the request. In a web browsing experience, the User-Agent is set by the browser (which is also an app). Now, instead of a browser, our native app will be making the HTTP request. When we’re developing a native app for a mobile phone, we need to take steps to ensure our User-Agent includes information that is meaningful. Otherwise the app will get the default values, which is not very helpful in any context. The specification goes in more detail and concludes that User-Agents should consist of one or more product identifiers and optional versions. By convention, the product identifiers are listed in decreasing order of their significance for identifying the User-Agent software. If you’re using the popular Picasso library, then the composition is similar. However, the actual request is made in a slightly different way. Have a look a this example app built with Picasso on Github. In iOS a component called “CFNetwork” handles the network communications. Also involved is the UNIX version iOS is built on: “Darwin”. Both of these are mentioned in the default User-Agent. In addition there may be a custom app identifier added. So not very meaningful. For full code of the getUAString() function, see Github. You can get the device brand name and model name from the EasClientDeviceInformation class with the SystemManufacturer and SystemProductName properties. The OS version can be extracted from DeviceFamilyVersion property in the AnalyticsVersionInfo class. Even if your favorite library or framework is not covered in this post, these examples should be generic enough to be transferred to any framework. It’s worth spending the additional few minutes of development to make sure the User-Agent of your app is meaningful and conforms to specification. Your analytics, devops, and debugging will all benefit. And likewise, you can leverage this device detection to target specific devices, apps, or app versions on specific platforms with messages, ads or content.